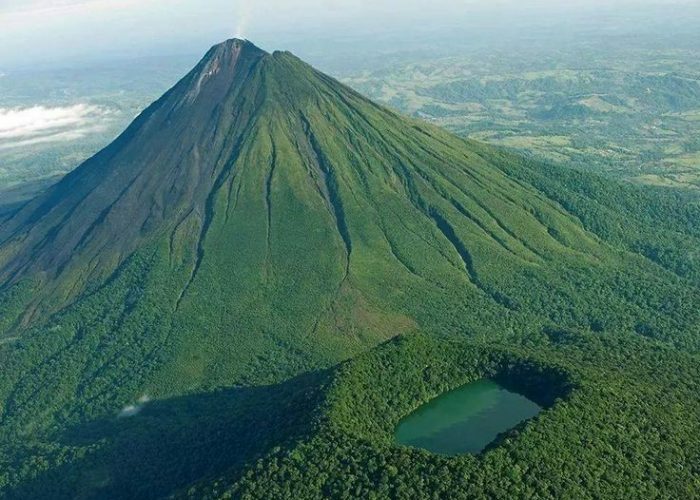 Two volcanoes tour hiking is approximately 10 hours, visiting Cerro Chato, the Arenal Volcano and so much more. 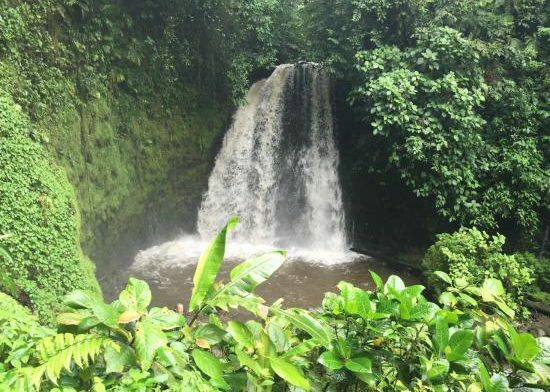 On this intense and fun day you get to experience all of La Fortuna’s nature to the fullest. 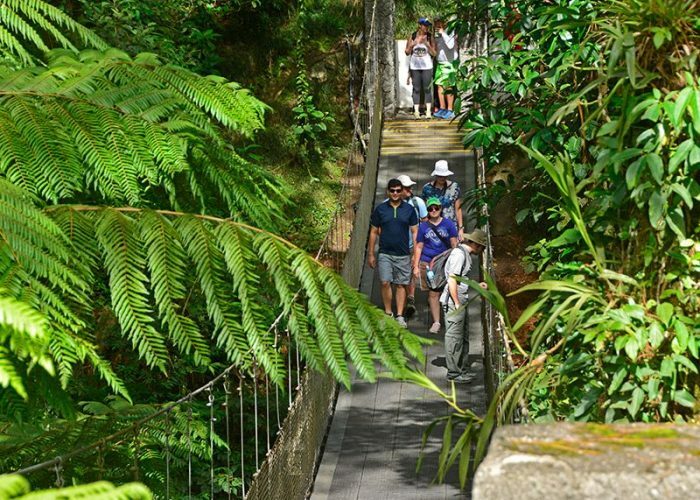 To finish the tour in the most relaxing way you are taken to the natural hot water river. Two volcanoes tour starts the hike going up a steep jungle trail that takes you to the top of the Cerro Chato After approximately two hours of a jungle workout you finally reach the top. From the crater edge your tour groups makes their way down to get to the beautiful green lake. 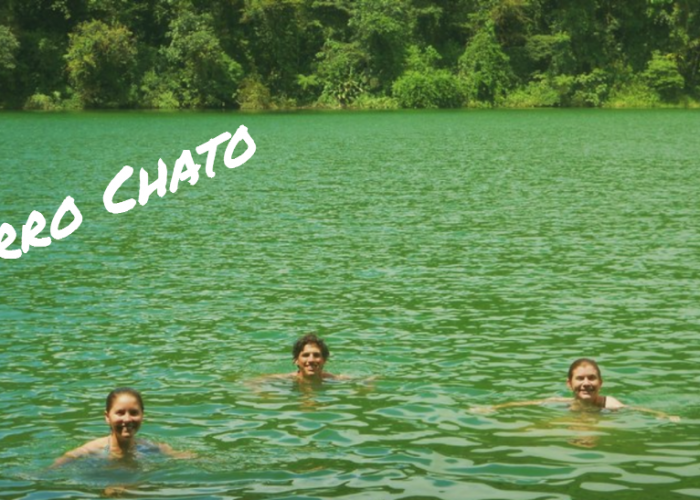 Here you can enjoy the experience of swimming in an extinct volcano. After lunch you head down the Chato on the opposite side. 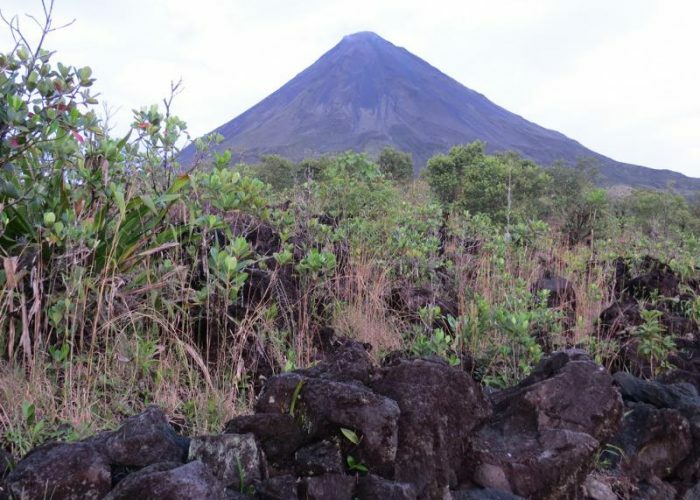 Along the way ,your guide will explains about the ecosystem, the volcanoes and the animals you can see. Amongst others we often see monkeys and tropical birds. 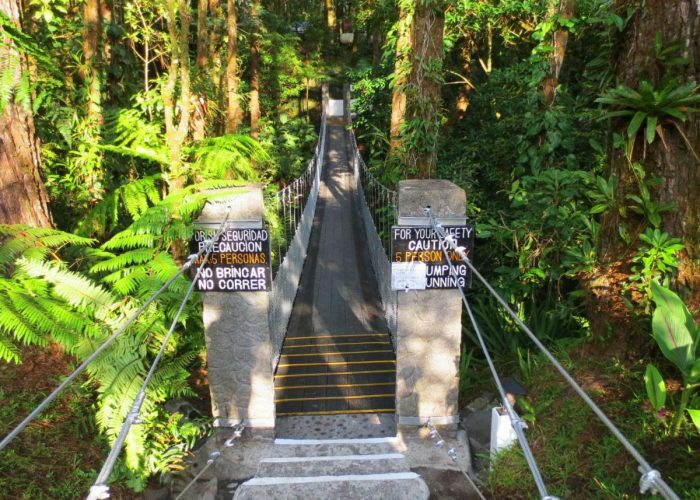 Leaving the forest, you reach the Arenal Observatory. In its little museum you can see the seismograph and your guide will explain more about the volcano. The hike is finished at the deck of the Observatory lodge. 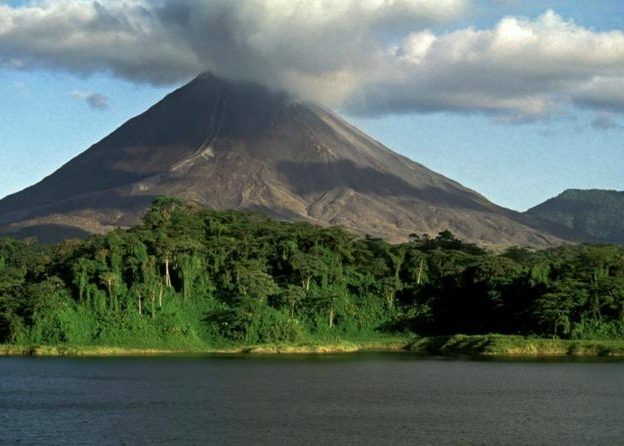 Here you enjoy the panoramic view of the volcano and Arenal Lake till the sun goes down. The transportation will be ready to take you down. Along the drive down you may see the red eyed tree frog. To finish the tour, in the most relaxing way, you will be taken to the natural hot water river. You can relax in its soothing warm water for about an hour and you can enjoy a volcanic mud facial and a complementary cocktail. Your tour ends at approximately 8pm when you are dropped off at your hotel. Cancellations and Changes: This Activity can be changed or cancelled without penalty at any time prior to 12 hours before the scheduled start of your activity. Make a reservation or contact us. La Choza Inn Hostel & Backpackers in Arenal Volcano, La Fortuna - Costa Rica - 300 mts west from the Post Office in La Fortuna. Avenue 331.